Copyright: © 2014 Tiwari S. This is an open-access article distributed under the terms of the Creative Commons Attribution License, which permits unrestricted use, distribution, and reproduction in any medium, provided the original author and source are credited. Terbinafine hydrochloride (TH) is first line drug against treatment of onychomycosis; which is the commonest fungal infection of nail plate. However, strong barrier property of nail plate restricts the effective topical treatment of onychomycosis. In this study, TH loaded solid lipid nanoparticles (SLNs) were prepared and subsequently incorporated into a gel system. SLNs were prepared by high pressure homogenization (HPH) technique using glyceryl monosterate (GMS), compritol 888ATO and a co-processed lipid. They were evaluated for particle size, polydispersity index, zeta potential, % entrapment efficiency (%EE), % drug loading (%DL), drug content and in-vitro drug release. All formulations of SLNs showed %EE > 94%. %DL was found to be higher with co-processed lipid. As evidenced from ex vivo antifungal studies, SLN based gel of TH showed better activity against Candida albicans as compared to the conventional marketed preparation. It was concluded from study that SLN based gel of TH could be a promising formulation for the effective treatment of onychomycosis. Onychomycosis is a fungal infection which is responsible for 50% of all nail disorders [1-3]. In 90% of the cases, onychomycosis is caused by dermatophytes (mainly Trichophyton rubrum), but can also be due to other fungi such as yeasts (mainly Candida albicans) or molds (mainly Scopulariopsis brevicaulis) . Human nail, being composed of 80-90 layers of dead cells [5-7], prevents effective topical treatment of onychomycosis. Therefore, it is difficult to achieve therapeutic antimicrobial drug concentration in the nail. High incidences of onychomycosis and problems associated with its therapy have renewed the interest of formulation scientists to work towards alternative formulation approaches . Terbinafine HCl (TH) is an antifungal agent used for the treatment of superficial fungal infections. TH accumulates in the skin/nail and persists at high concentrations for up to several weeks even after discontinuing the drug application. It possesses low minimum inhibitory concentrations (0.001–0.01 μg/ml) and low minimal fungicidal concentrations (0.003–0.006 μg/ml) against dermatophytes . Its conventional formulations are available for oral as well as topical administration. However, about 40% of the oral dose undergoes first-pass metabolism and the drug is bound extensively to plasma protein. Attempts to compensate the loss of drug owing to such factors may increase the risk of dose related adverse effects. Hence, topical administration is a more practical approach which would result into much lower, often undetectable systemic levels, thus reducing possible toxicity of the drug [8-10]. SLNs possess a number of advantages for the topical route of administration. Particle size characteristics of SLNs ensure close contact to the nail plate and thereby, increase the penetration of encapsulated drug into the stratum corneum [10,11]. Besides, sustained release of the drug from SLNs supplies the drug to the nail over a prolonged period and thereby reduces the possibilities of systemic absorption . In our study, we incorporated the SLNs into a chitosan based gel to get a topical dosage form having the desired semisolid consistency [13,14]. Such a hydrogel formulation forms an invisible, occlusive film having affinity for the stratum corneum. Bioadhesive nature and antimicrobial characteristics of chitosan contribute to this effect. The network of gel system hampers the polymorphic SLN transitions and thus, may enhance the stability of SLNs . We have incorporated the concept of co-processing in this research with a view to improve the functionality of excipients, enhance drug loading, reduce the amount of lipid content and bring about an overall reduction in cost of the formulation. Co-processing of excipients causes individual excipients to interact at the sub-particle level and leads to the formation of excipients with superior properties than their physical mixture [15,16]. Co-processed lipids were prepared using melt granulation method [17,18]. Finally, L-cysteine was added to the gel formulation so as to enhance the binding of drug to nail components [19,20]. Terbinafine Hydrochloride, glyceryl monostearate (GMS) and Compritol ATO 888 were obtained as a gift sample from FDC Ltd., India; Fine organics, India and Gattefosse, India, respectively. Poloxamer 188 and chitosan were obtained from Balaji Drugs, India; L-cysteine from Suvidhinath Laboratories, India and sabouraud dextrose media from Himedia Laboratory Pvt. Ltd., India. Candida albicans (ATCC NO. 10231) was received as a gift sample from Food and Drugs Laboratory, India. Co-processed lipid was prepared using melt granulation method. Briefly, GMS was allowed to melt, following which compritol 888 ATO was added to it. After gentle stirring for 1 min, the mixture was cooled to room temperature. Flakes of co-processed lipid were collected by scrapping with spatula [10,15,16]. In order to characterize the co-processed lipid, DSC was carried out for GMS, compritol 888 ATO and co-processed lipid (GMS:Compritol 1:1). Thermograms were obtained using Differential Scanning Calorimeter (DSC-60, Shimadzu, Japan). Dry nitrogen gas was used as the purge gas through the DSC cell at a flow rate of 40ml/min. Samples were sealed in standard aluminum pans with lids, and heated at a rate of 20 °C/min from 50 to 300 °C [13,21]. The ability of SLNs to maintain the drug in solubilized form is greatly influenced by the solubility of the drug in lipid phase. Considering the solid nature of lipids, equilibrium solubility study was impractical . Therefore, an alternative method was adapted to measure solubility of drug in the solid lipids. Briefly, 10 mg TH was placed in a glass beaker covered with aluminum foil. About 10 mg of lipid was added in the beaker and heated at 80˚C under continuous stirring. Subsequently additional lipid was added in portions under continuous stirring and heating until a clear solution existed. Total amount of lipid added to get a clear solution was recorded. Amount of individual lipid used to solubilize 10 mg drug was recorded and accordingly, comparisons were made [10,22]. SLNs were prepared by high pressure homogenization (HPH) method  as per the composition given in Table 1. Solid lipid was heated 5–10 °C above its melting point. Drug was added into the molten lipid and which was then added to 70 ml of poloxamer solution, maintained at the same temperature. A pre-emulsion was obtained under magnetic stirring for 1 hr. This pre-emulsion was subjected to high pressure homogenization (ATS CE NANO, AH100D, Canada) for 4 cycles at 300 bar, 4 cycles at 500 bar, 4 cycles at 700 bar, 10 cycles at 850 bar and 10 cycles at 1100 bar. The instrument was maintained at 70±0.5 °C throughout the process by recirculation with hot water. O/W nanoemulsion thus formed was transferred to glass vials and immediately cooled down to room temperature to generate SLNs . Particle size, zeta potential and polydispersity index: Particle size, zeta potential and polydispersity index of the SLNs were determined using a Malvern Zetasizer Nano ZS v2.0 (Malvern Instruments, UK). Polydispersity index was studied to determine the narrowness of the particle size distribution. Each sample was diluted with filtered distilled water (up to 2 ml) to avoid multiscattering phenomena and placed in a disposable sizing cuvette. During zeta potential measurement, zeta limits ranged from -200 to +200 mV. The electrophoretic mobility was converted to zeta potential by inbuilt software using the Helmholtz Smoluchowski equation. Analysis of a sample consisted of three measurements, and the results were expressed as mean size ±SD [10,22,23]. Drug content, entrapment efficiency (%EE) and drug loading (%DL): For the measurement of drug content, 1 ml SLN dispersion was taken and its volume was made upto 10 ml with methanol. It was sonicated for 5 min in a bath sonicator (Ultrasonic cleaner, Spinotech Pvt. Ltd., India) following which centrifugation was performed (12,000g/30 min). The resulting pellet was filtered through Whatman filter paper (0.45μ) and the filtrate was analyzed for drug content using UV spectrophotometer at λmax 223nm. Amounts of entrapped TH in SLNs were estimated by reverse dialysis bag technique . A dialysis bag (molecular weight cut-off 12,000 Da) was equilibrated overnight in water. 1% w/v of poloxamer 188 solution in distilled water was kept in dialysis bag and it was placed in 10 ml of originally prepared SLNs dispersion for 6 hrs. 1 ml of sample was collected from the dialysis bag and free amounts of TH in the SLNs were estimated after appropriate dilution. Unentrapped drug, drug entrapment efficiency (%EE) and drug loading (%DL) were calculated using the equations given below [24-26]. In vitro drug release studies: Drug release study was performed following dialysis bag method [23,24]. Dialysis bag retains the SLNs but allows the transfer of the dissolved/released drug molecules into the release media. Dialysis tube (molecular weight cut off - 12,000 Da) was prepared according to the protocol provided by Sigma and soaked in the release media overnight prior to the study. Release media was 25 ml of phosphate buffer (pH 7.4). It was maintained at an agitation of 100 rpm and temperature of 37±0.50C. One end of the dialysis tube was tied and SLN dispersion equivalent to 10 mg of TH was placed in the tube. The entire media was replaced with fresh 25 ml of phosphate buffer (pH 7.4) at predetermined time intervals (0.5,1,2,4,6,12,24,30 hours). Samples were analyzed using UV-visible spectrophotometer. Optimization of formulation: Optimization of SLNs was done on the basis of evaluation parameters like particle size, PDI, entrapment efficiency and in vitro drug release study. Further evaluations were done only for the optimized formulation. Dispersion of SLNs in chitosan gel and its characterization: Chitosan based gel was prepared keeping in views many of its advantageous biological properties such as biocompatibility, biodegradability, anti-infective activity and bioadhesion [25,26]. The weighed amount of chitosan (3% w/v) was mixed with SLNs dispersion . Glacial acetic acid was then added and stirred slowly to solubilize chitosan. Methyl paraben was added as preservative at a concentration of 0.1% w/v. Finally L-cysteine (10% w/v) was added to the formulation as it has ability to increase binding of drug to nail constituents . Gel was kept at room temperature overnight for deaeration and subsequently characterized for pH, viscosity, drug content, in-vitro drug release and exvivo antifungal activity [8,10]. Cylinder plate method was used for the antifungal study. Prepared formulation was compared with conventional marketed formulation of TH (tefib*) using C. albicans (ATCC NO. 10231). The organism was cultivated on sabouraud dextrose media (SDA) at 30 °C for 2 days. The spores were harvested and suspended in 10 ml of saline. 10 ml of the inoculated media was added to 200 ml of SDA at 37±1 °C and plates were solidified. Three wells in the petridish were bored and filled with marketed formulation (tefib*), SLN based gel and control (distilled water), respectively. Culture plates were incubated at 30 °C for 2 days. Zone of inhibition was then recorded and compared. The mean value of three such estimations was reported . Accelerated stability study of optimized batch of SLN and SLN based gel: The accelerated stability study was performed for optimized batch NP3 and SLN based gel. They were stored at 40 °C±2 °C/75%±5% relative humidity using stability chamber (Osworld JRIC-11B, India). Particle size, % EE and % drug content of SLN and pH, % drug content of SLN based gel were determined after one month period . Statistical analysis: All the data are represented as mean ± SD (n=3) unless stated otherwise. Evaluation parameters (%EE, %DL and in-vitro drug release Studies) were analysed by one way ANOVA followed by tukey's test. In-vitro drug release studies of SLN based gel and ex-vivo antifungal study were analysed by paired t-test. Values were declared to be significant with p value less than 0.05 (p <0.05). DSC thermogram showed a sharp peak at 63.74 °C for GMS and 73.74 °C for compritol 888ATO. On the other hand, DSC thermogram of co-processed lipid showed a sharp peak at 67.46 °C which matched neither of the individual lipids (Figure 1). Peak of co-processed lipid was single and displaced from the original peaks of GMS and compritol 888ATO. Besides, it was broader as compared to the individual lipids. These observations led us to the conclusion that co- processed lipid was formed. In this study, drug: lipid ratio varied from 1:25 to 1:15 depending upon nature of lipid (Table 2). Lipid nanoparticles, being matrix systems, have the drug either in dissolved or in dispersed form . If lipid content is less than quantity required for solubilization of drug, SLNs with drug- enriched shell will be formed. Such a formulation would offer lower entrapment efficiency and may show initial burst release. If lipid content is more, particle size increases and drug loading decreases . When the amount of lipid matches to that required for drug-solubilization, a homogeneous SLN matrix system is created wherein drug release is affected primarily through diffusion. Therefore, the solubility of the drug in the lipid matrix was recognized as an important factor in our formulation development [10,29]. Particle size, zeta potential and polydispersity index (PDI): The particle size in all formulations was found to be in the range of 55 to 279 nm (Table 3). It was found to vary depending upon the surfactant concentration and lipid concentration. Increase in the concentration of poloxamer 188 (NP3, NP4, NP5) reduced the interfacial tension between lipid matrix and dispersion medium (aqueous phase). Consequently, it favored the formation of SLNs with smaller particle size which corroborates to the findings in the literature . Distribution of energy for generation of nanoparticles in the dilute dispersion (low lipid concentration) is better than concentrated (high lipid concentration) dispersion, which would have been responsible for more efficient particle size reduction. Consequently, particle size was less in formulation NP3 (drug: lipid ratio 1:15) as compared to formulation NP1 and NP2 (having drug: lipid ratio 1:25) [21,23]. PDI governs the physical stability of SLNs dispersion. Its values close to 1 indicate heterogeneity and those less than 0.5 indicate homogeneity. PDI value of SLN formulations ranged from 0.190 to 0.440 (Table 3). This indicates that population of prepared nanoparticles was homogeneous in distribution. High zeta-potential values should be achieved to ensure a high energy barrier and to favor good stability. Nanoparticles with zeta potential values between +30 to -30 mV typically have high degrees of stability [30,31]. Our zeta-potential results suggested that poloxamer 188 concentration was sufficient to cover the surface of the nanoparticles effectively (Table 3). Therefore it would prevent agglomeration during the emulsification process. Drug content, entrapment efficiency (%EE) and drug loading (%DL): TH loaded SLNs prepared with various lipids and with different poloxamer concentration were subjected to the evaluation for uniform dispersion of drug throughout the suspension. Drug content was found to be in the range of 98 to 99.5% suggesting that the drug was uniformly dispersed throughout SLN dispersion. Entrapment efficiency depends upon the nature of drug and lipid phase. TH being lipophilic is highly soluble in lipids and this could be one of the reasons of high drug entrapment efficiency of our formulation (Figure 2). In this study, drug: lipid ratio was selected on the basis of solubility of drug in lipid. There was no significance difference (p>0.05) between %EE of NP3 with all other formulations (NP1, NP2, NP4 and NP5) (One way ANOVA followed by Tukey's test). However, a significant difference (p<0.05) was observed between % DL of NP3 with NP1 and NP2. No significant difference (p >0.05) was observed in %DL of NP3 with NP4 and NP5 (One way ANOVA followed by tukey's test). In vitro drug release studies: Release of drug from SLNs was found to be depending primarily upon type of lipid, concentration of lipid and surfactant concentration (Figure 3) . NP1 and NP2 exhibited significantly lower cumulative drug release (26.631% and 9.023%, respectively, at the end of 30 hrs) as compared to NP3, NP4 and NP5. We attributed this to higher amount of total lipid in NP1 and NP2. In the batches NP3 NP4 and NP5, drug release rate increased with increase in poloxamer 188 concentration. A decrease in particle size (and hence, increased surface area) owing to increased poloxamer concentration would have contributed to this effect. There was a significant difference (p<0.05) between cumulative % drug release of all formulations of solid lipid nanoparticles (One way ANOVA followed by Tukey's test). Between the two lipids used, compritol 888ATO showed sustained drug release than GMS which could be due to its longer carbon chain length. Thus, it was concluded that longer the carbon chain length of lipids, slower would be the drug release rate. In our study, minimum inhibitory concentrations (0.001–0.01 μg/ml) and low minimal fungicidal concentrations (0.003–0.006 μg/ml) against C. albicans was achieved within 30 min in all five batches, other than NP2. Optimization of formulation: Out of five batches of SLNs, NP3 exhibited all desirable attributes like particle size (127.7 nm), PDI (0.183), zeta potential (-5.89), entrapment efficiency (98.36%), drug loading (6.14%) and % cumulative drug release (34.523% in 30 hrs). 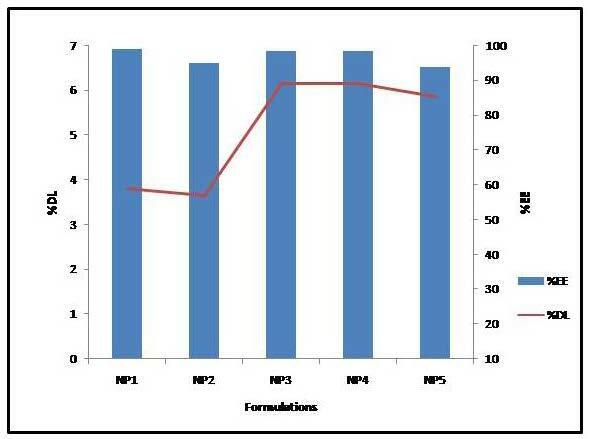 Hence, formulation NP3 was selected as the optimized batch of nanoparticles. It was subjected to accelerated stability and microbiological studies after being incorporated into chitosan-based gel. Further, its morphological characteristics were studied using scanning electron microscopy. 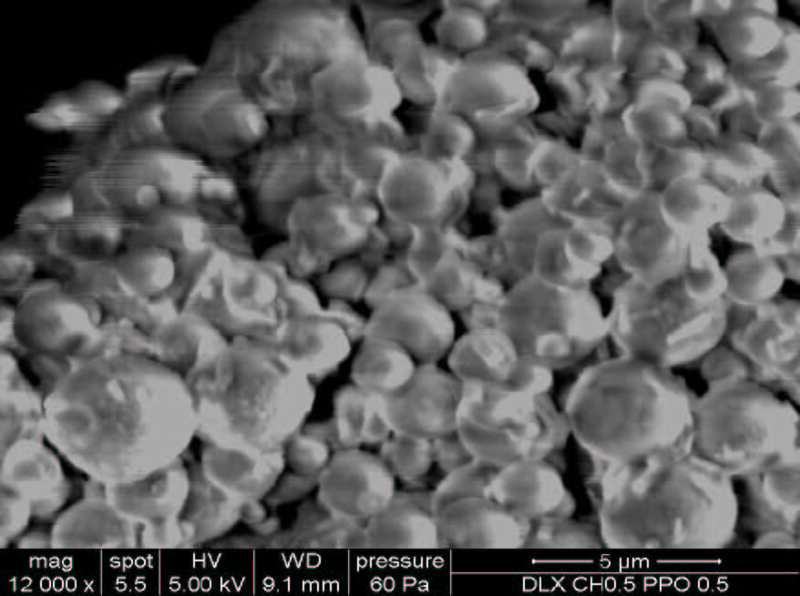 Scanning electron microscopic (SEM) studies: For SEM analysis, sample was mounted onto an aluminum stub and sputtercoated with platinum particles in inert atmosphere. Particles were analyzed at an operation voltage of 5.00 kV . As can be evidenced from SEM image (Figure 4), SLNs were of spherical shape with a regular surface profile. No indentations were observed on their surface (Figure 4). Characterization of SLN based gel: pH of SLN based gel was found to be 6.103±0.11, which would be acceptable for topical application since pH of normal skin is 5.5 . Its rheological characteristics were appropriate with regard to spreadability, handling and ease of application. Incorporation of SLNs into chitosan also showed sustained release of TH and its release profile did not differ significantly from NP3 (paired t-test) (Figure 3). 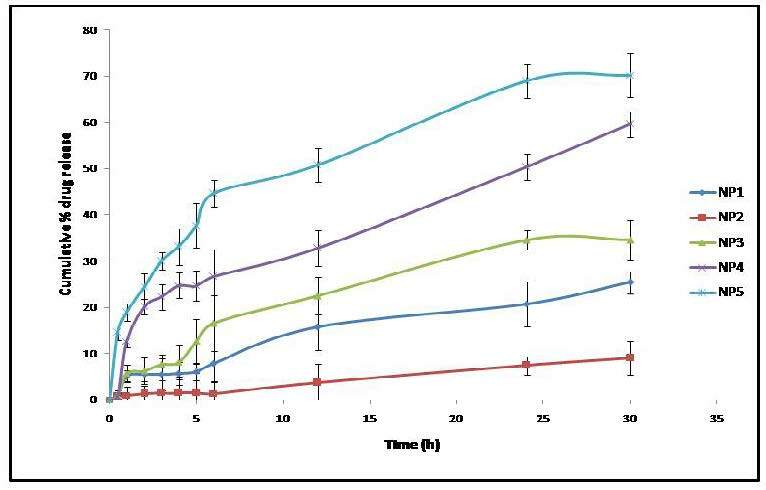 Ex-vivo antifungal study: Mean zone of inhibition of SLN based gel and marketed preparation (tebif*) were found to be 4.3±0.556 and 2±0.264 cm respectively; indicative of a significant difference (p<0.05) between the performance of the two formulations (Paired t-test). SLN based gel was more effective in killing the fungus as compared to conventional marketed formulation. SLNs by virtue of the smaller particle size and matrix structure not only result in better diffusion of the drug through the barriers but also result into sustained effect of drug. They provide a large surface area; consequently larger amount of drug could be concentrated and localized within the same isotropic medium, thus providing enhanced antifungal action . Accelerated stability study of optimized batch and SLN based gel: No significant change was observed in the particle size, % EE, %DL and % drug content of optimized batch of SLN (NP3). SLN-loaded gel was evaluated for the parameters like, pH, viscosity and drug content. No significant changes were observed in this case as well. These results suggested that the SLNs of TH and SLNbased gel formulation remained stable under accelerated storage conditions. TH loaded SLNs were successfully prepared using glyceryl monostearate, compritol 888ATO and co-processed lipid as lipid matrix, poloxamer 188 as stabilizer and distilled water as dispersion medium. The zeta potential values were indicative of physical stability of SLNs. Co- processing of lipids led to significant improvement in % drug loading. Drug release from SLNs dispersion and SLNs based gel showed sustained release of drug over prolonged period of time. SLNs remained stable under accelerated storage conditions. SLN based gel of TH was found to be significantly effective as compared to conventional marketed gel formulation against Candida albicans. Thus, it could be concluded that SLN based gel of TH could be a viable alternative for ungual drug delivery. 1 Debruyne D, Coquerel A (2001) Pharmacokinetics of antifungal agents in onychomycoses. Clin Pharmacokinet 40: 441-72. 2 Ghannoum MA, Hajjeh RA, Scher R, Konnikov N, Gupta AK, et al. (2000) A large-scale North American study of fungal isolates from nails: the frequency of onychomycosis, fungal distribution, and antifungal susceptibility patterns. J Am Acad Dermatol 43: 641-8. 3Scher RK (1994) Onychomycosis is more than a cosmetic problem. Br J Dermatol 43: 15. 4 Gupta AK, Scher RK, De Doncker P (1997) Current management of onychomycosis an overview. Dermatol Clin 15: 121-35. 5Walters KA, Flynn GL (1983) Permeability characteristics of the human nail plate. Int J Cosmet Sci 15: 231 46. 6 Murdan S (2008) Enhancing the nail permeability of topically applied drugs. Expert Opin Drug Deliv 5: 1267-82. 7 Achten G, Andre J, Laporte M (1991) Nails in light and electron microscopy. Semin Dermatol 10: 54-64. 8 Tanrıverdi ST, Ozer O (2013) Novel topical formulations of Terbinafine-HCl for treatment of onychomycosis. Eur J Pharm Sci 48: 628-36. 9 Darkes MJ, Scott LJ, Goa KL (2003) Terbinafine: a review of its use in onychomycosis in adults. Am J Clin Dermatol 4: 39-65. 10 Vaghasiya H, Kumar A, Sawant K (2013) Development of solid lipid nanoparticles based controlled release system for topical delivery of terbinafine hydrochloride. Eur J Pharm Sci 49: 311-22. 11 Lv Q, Yu A, Xi Y, Li H, Song Z, et al. (2009) Development and evaluation of penciclovir- loaded solid lipid nanoparticles for topical delivery. Int J Pharm 372: 191-8. 12 Liu J, Hu W, Chen H, Ni Q, Xu H, et al. (2007) Isotretinoin-loaded solid lipid nanoparticles with skin targeting for topical delivery. Int J Pharm 328: 191-5. 13 Bhalekar MR, Pokharkar V, Madgulkar A, Patil N (2009) Preparation and evaluation of miconazole nitrate-loaded solid lipid nanoparticles for topical delivery. AAPS Pharm Sci Tech 10: 289-96. 14 Montenegro L, Sinico C, Castangia I, Carbone C, Puglisi G (2012) Idebenone loaded solid lipid nanoparticles for drug delivery to the skin in vitro evaluation. Int J Pharm 434: 169-74. 15Saha S, Shahiwala AF (2009) Multifunctional coprocessed excipients for improved tabletting performance. Expert Opin Drug Deliv 6: 197-208. 16 Gohel MC, Jogani PD (2005) A review of co-processed directly compressible excipients. J Pharm Pharmaceut Sci 8: 76-93. 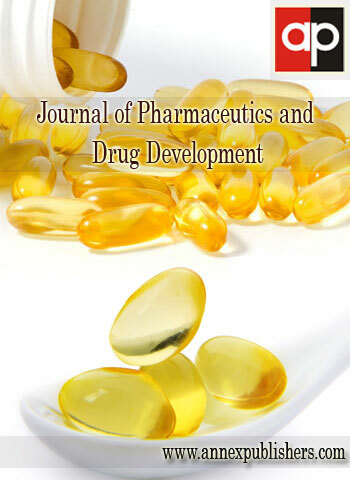 17 Garg N, Dureja H, Kaushik D (2013) Co-processed excipients: A Patent Review. Recent Pat Drug Deliv Formul 7: 73-83. 18 Mehra DK, West KP, Wiggins JD (1988) Coprocessed microcrystalline cellulose and calcium carbonate composition and its preparation. 19 Ridolfi DM, Marcato PD, Justo GZ, Cordi L, Machado D, et al. (2012) Chitosan-solid lipid nanoparticles as carriers for topical delivery of tretinoin. Colloids Surf B Biointerfaces 93: 36-40. 20 van H, van den Hoven WE, Terpstra IJ, van Zijtveld J, Verschoor JSC, et al. (1997) Nail penetration of the antifungal agent oxiconazole after repeated topical application in healthy volunteers, and the effect of acetylcysteine. Eur J Pharm Sci 5: 119-27. 21 Das S, Wai KN, Kanauji P, Kim S, Reginald BH (2011) Formulation design, preparation and physicochemical characterizations of solid lipid nanoparticles containing a hydrophobic drug: Effects of process variables. Colloids Surf B Biointerfaces 88: 483-9. 22 Silva AC, González-Mira E, García ML, Egea MA, Fonseca J, et al. (2011) Preparation, characterization and biocompatibility studies on risperidone-loaded solid lipid nanoparticles (SLN): high pressure homogenization versus ultrasound. Colloids Surf B Biointerfaces 86: 158-65. 23 Singh S, Dobhal AK, Jain A, Pandit JK, Chakraborty S (2010) Formulation and evaluation of solid lipid nanoparticles of a water soluble drug: zidovudine. Chem Pharm Bull 58: 650-5. 24 Rawat MK, Jain A, Mishra A, Muthu MS, Singh S (2010) Effect of lipid matrix on characteristics of repaglinide loaded solid lipid nanoparticles for oral delivery. Ther Deliv 1: 63-73. 25 Degim Z, Çelebi N, Alemdaroğlu C, Deveci M, Öztürk S, et al. (2011) Evaluation of chitosan gel containing liposome-loaded epidermal growth factor on burn wound healing. Int Wound J 8: 343-54. 26 Chawla R, Jaiswal S, Mishra B (2014) Development and optimization of polymeric nanoparticles of antitubercular drugs using central composite factorial design. Expert Opin Drug Deliv 11: 31-43. 27 Barot BS, Parejiya PB, Patel HK, Gohel MC, Shelat PK (2012) Microemulsion-based gel of terbinafine for the treatment of onychomycosis: optimization of formulation using D- optimal design. AAPS Pharm Sci Tech 13: 184-92. 28Muller RH, Mader K, Gohla S (2000) Solid lipid nanoparticles (SLN) for controlled drug delivery- a review of the state of the art. Eur J Pharm Biopharm 50: 161-77. 29 Muller RH, Radtke M, Wissing SA (2002) Solid lipid nanoparticles (SLN) and nanostructured lipid carriers (NLC) in cosmetic and dermatological preparations. Adv Drug Deliv Rev 54: S131-55. 30 Mandawgade SD, Patravale VB (2008) Development of SLNs from natural lipids: application to topical delivery of tretinoin. Int J Pharm 363: 132-8. 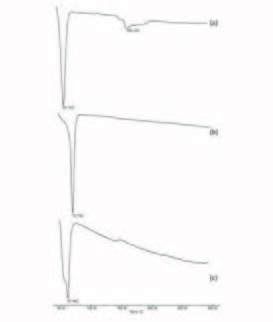 31 Muthu MS, Singh S (2009) Poly (d,l-lactide) nanosuspensions of risperidone for parenteral delivery: formulation and in vitro evaluation. Curr Drug Deliv 7: 62-8. 32 Tiwari S, Chaturvedi AP, Tripathi YB and Mishra B (2011) Macrophage-specific targeting of isoniazid through mannosylated gelatin microspheres. AAPS Pharm Sci Tech 12: 900-8.